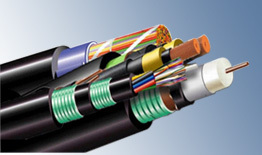 We are the professional manufacturer and supplier of BJ,FJ Hear-Resistant Cross-Linked Polyethylene Insulation Motor Connect Wire, BJ,FJ Hear-Resistant Cross-Linked Polyethylene Insulation Motor Connect Wire, Silicone hook-up wire and XLPE hook-up wire and wiring harnesses. Our products are produced in accordance with UL/CSA standards for the USA and Canada, PSA standards for Japan and in compliance with European harmonised standards. We are committed to product safety and to compliance with our obligations under REACH and RoHS.